Sometimes I wonder if I will still be surprised during my trips, because I have already seen and reviewed many airlines, many hotels, many luxury places… And Qatar Airways gave me the best wake-up call possible during a night flight between Doha and Seoul ! It’s not hard to understand why Qatar Airways Business Class has been awarded since 2 years the best class worldwide ; from the large 2-2-2 cabin configuration to the ground services – amazing Premium Terminal for First and Business passengers – including the catering, the service quality… just whaouh ! Everything has been planned to save your time and make you feel like a VIP – thanks to the crew – and I can say in a single word that QA is definitely the best value for money for business travelers, far away from all other companies. 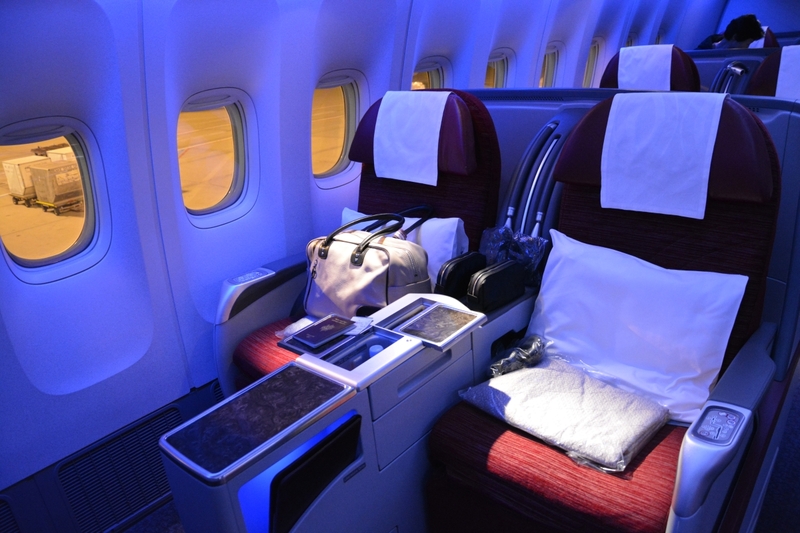 Let’s go directly to the purpose: the business class cabin I had on that Qatar Airways B777 is the best I ever experimented. The seats are brand new with a very large screen, a full-of-movie entertainment system and allow a full flat bed configuration ; the showstopper is certainly the 2-2-2 settings and the amazingly large pitch between seats. 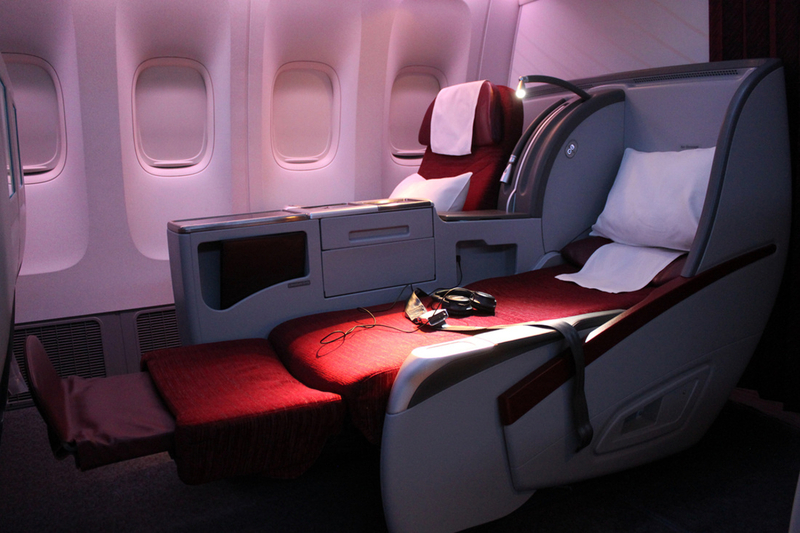 How can Qatar Airways decide to put so much space in its business cabin ?! For sure that’s really impressive and can easily compete with most of other airlines first class, this is probably their objective. I enjoyed one dinner and one light lunch during this night flight to Seoul, so I have a pretty good overview of the Doha catering. 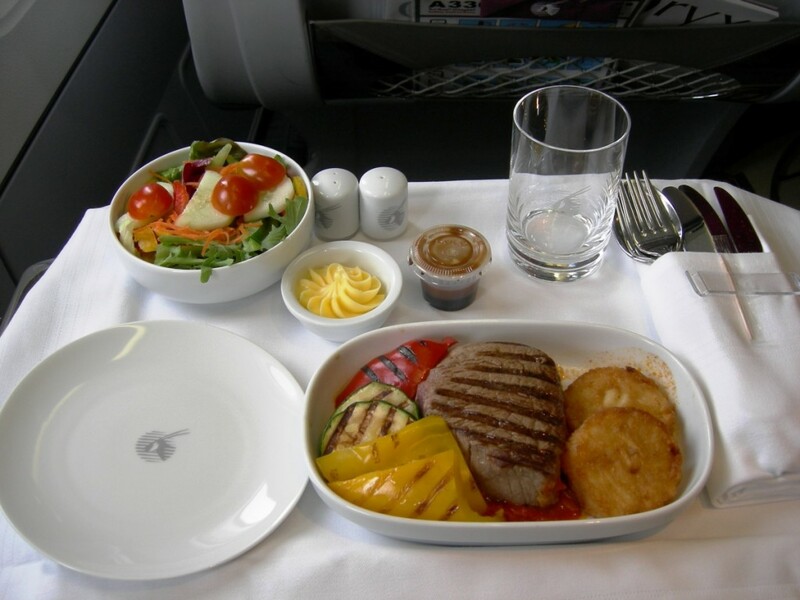 The a-la-carte menu was not exceptional but dishes were very pleasant and the service perfectly done ; I have also to mention the plenty of food and beverages selection available at any moment during the flight. Attention to detail, passenger care, efficiency and invisibility of the service… Faultless ! DOH to ICN, night flight on B777 in November 2013.